Happy Saint Patrick’s Day ( a day early!) from our Irish family to yours. Well, partially Irish family. 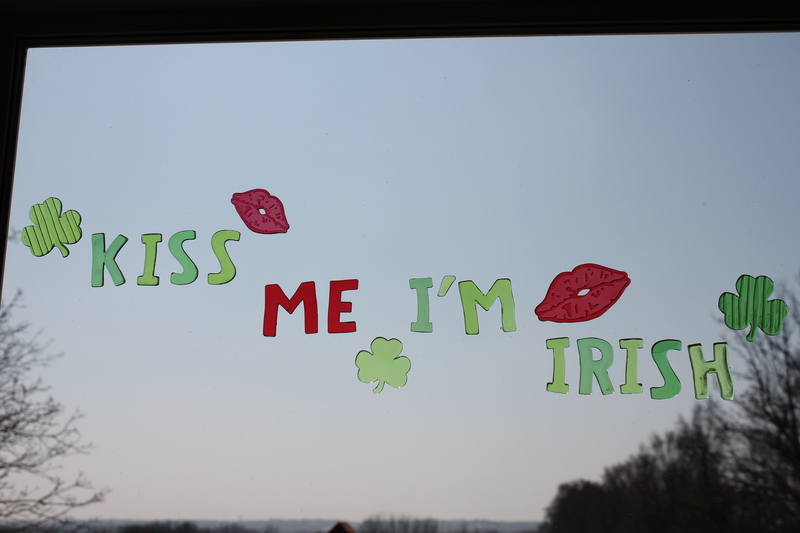 We’re a lot Irish (me), a lot Danish (Beau) and a little bit country. 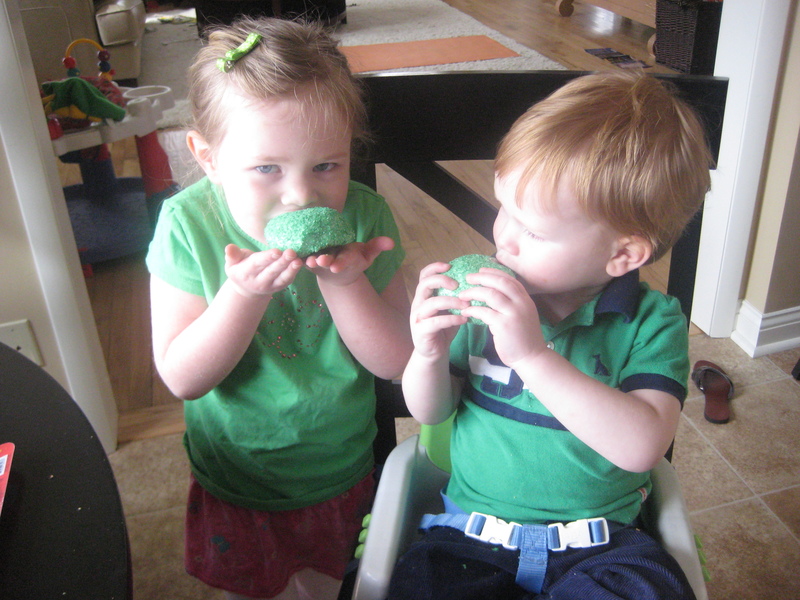 This picture is the sum total of our Saint Patty’s Day celebration last year. 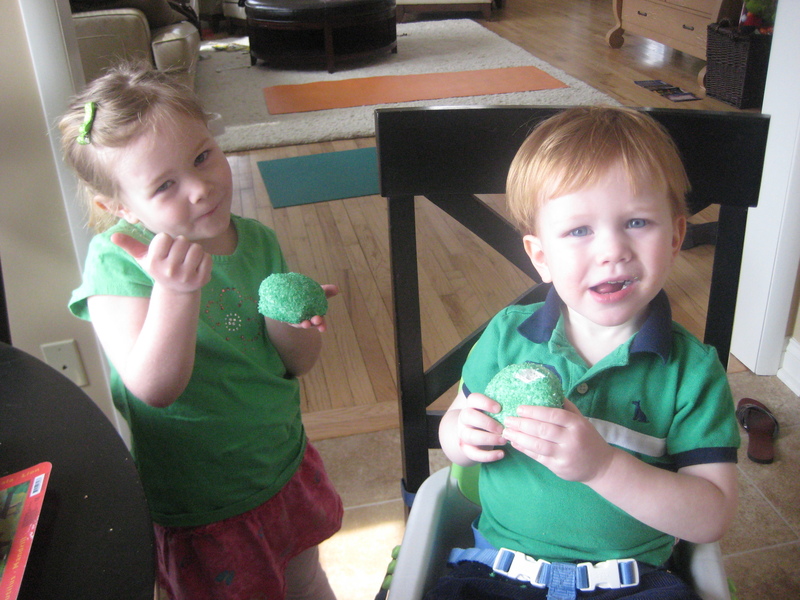 Yes, those are ‘Lucky Puffs’ Hostess Sno Balls in my children’s hands. Yes, I am the mother who realized on the day of that it was in fact Saint Patrick’s Day and had absolutely nothing planned. Yes, I am the one who haphazardly threw green shirts on my beauts and headed to my local Target store on a mission to find a St. Patty’s-type treat. 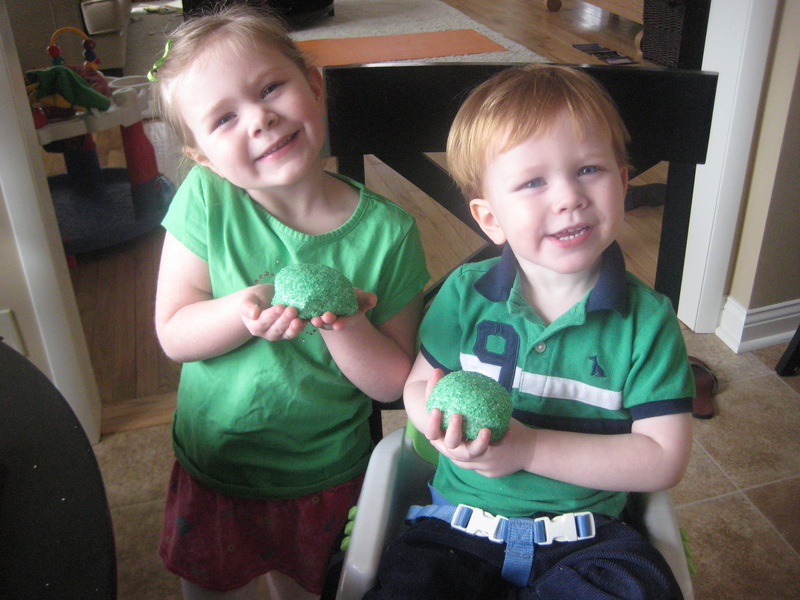 And yes, in a sad and desperate attempt to not let the holiday that celebrates my heritage pass by without mention, bought my beauties green Hostess Sno Balls for our ‘Irish’ fare. I swear to you, it was all I could find. The wee ones bravely nibbled on the coconut, chocolate and marshmallow culinary mystery. My very Irish one (Beaut.two) is silently wondering if this is in fact edible or some sort of sick preschool prank. Beaut.one is giving our ‘Irish’ sweet treat a thumbs up. But if you look really closely her mouth is full and she isn’t swallowing. I’m just saying. So this year I was looking to totally redeem myself. I think I’m off to a better start. After all, I bought the beauties these very festive socks. Well, at least my daughter’s socks are festive. 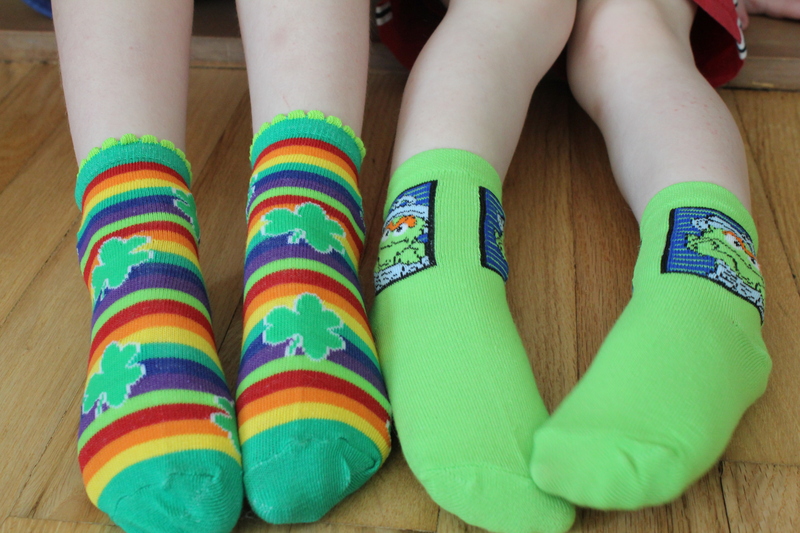 I couldn’t find a Patty’s Day pair for my son that didn’t have rainbows or pink on them so I settled for these green Oscar the Grouch ones. In no way does Oscar the Grouch refer to my son’s demeanor. In no way can a red-headed, independent and commanding young boy occasionally appear grouchy. It was just a coincidence really. And I bought these fun gel clings from Michaels. Man, I am really going for it this year! 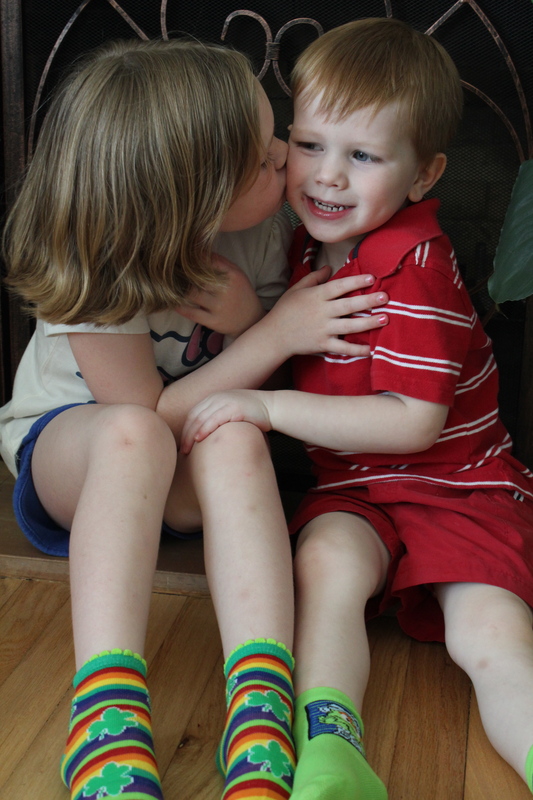 And here is the aforementioned Irish kiss in action, so we are firing on all cylinders now. Seriously though. I have been diligently researching corned beef and cabbage recipes so I can delight my family with that deliciousness this year. Oh, and some much, much, much more Irish-than-green-Sno Balls-soda bread is on the menu too. Here’s wishing you and yours a Happy Saint Patrick’s Day! Don’t forget to be pinch-free and sport some green.